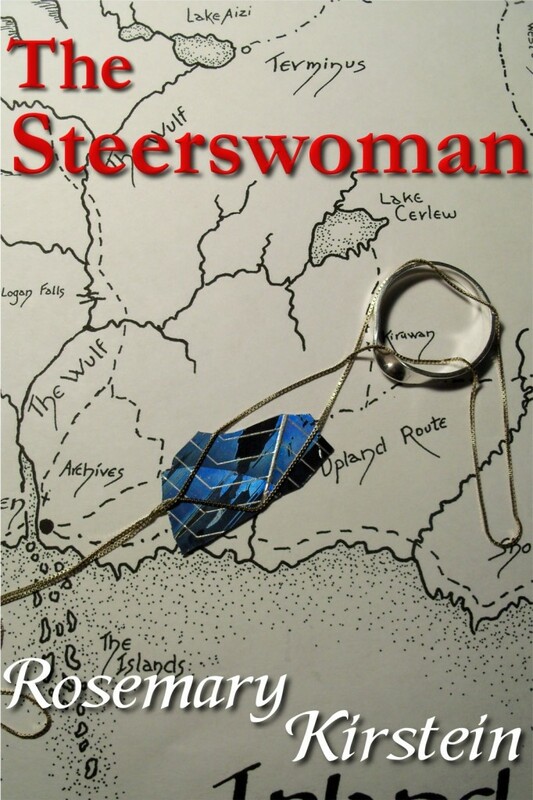 I finished the conversion of The Steerswoman to the larger paperback format, recreated the cover, and uploaded the whole shebang to KDP. I’ve reviewed the result online… but you just can’t trust how things look on the screen, as I found to my chagrin on other books. So, I’ve ordered some proof copies, to check how things look before I publish. They should arrive any day now. And the cover really does worry me… it’s not just an issue of making it bigger. Since I’m going for a uniform appearance across all four volumes of the paperback, I thought it was worthwhile to try to fix some problems with the original cover. And for that, I needed to redo it almost from scratch. The cover used on the smaller paperback was based on the cover image for the ebook — and that cover was created in something of a rush. 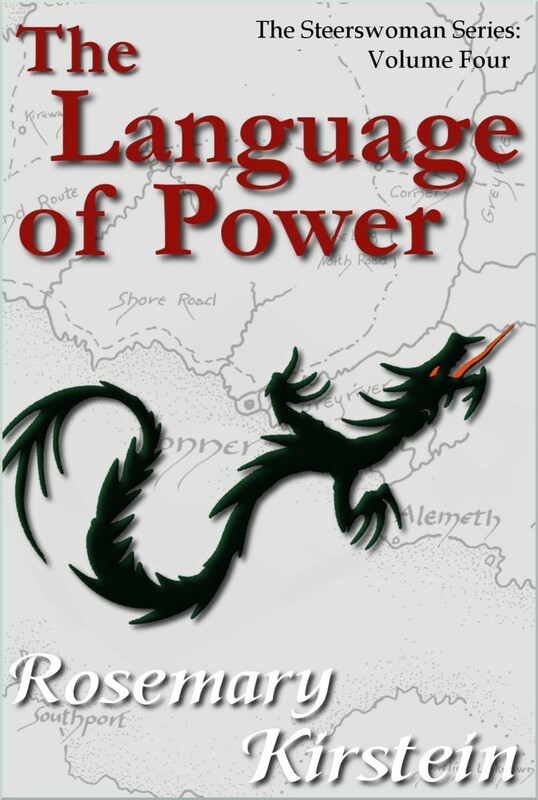 I wanted at that point (for various reasons) to get the ebook out as quickly as possible. For the sake of speed, I simply took the actual physical version of the map that was used in the book, and plopped down a real gold chain, an actual example of the “jewel,” and a mobius band ring on top of it. Then I lit everything as well as I could, and took a photograph. The camera was just a middling-quality digital camera, but amazingly, the resulting photo was not terrible. With the help of the GIMP image-editing software I trimmed it to the right size, added a title and author name and voila! 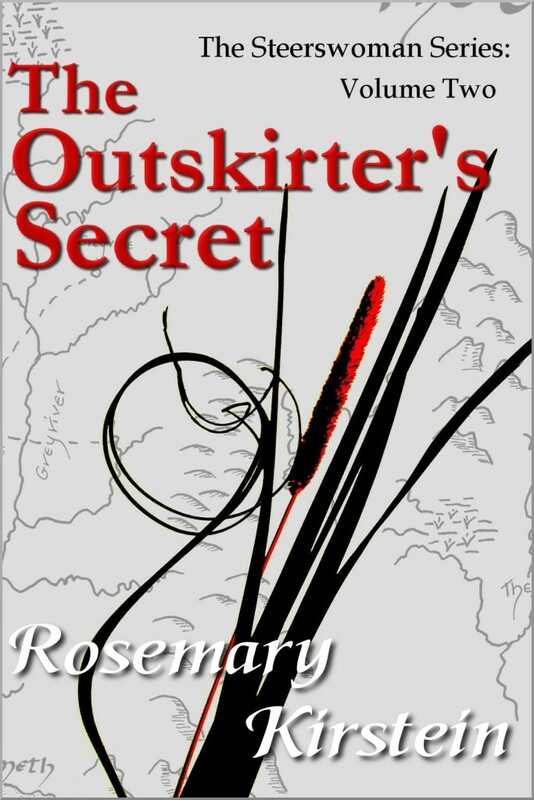 Instant ebook cover. On sale in time for Christmas. 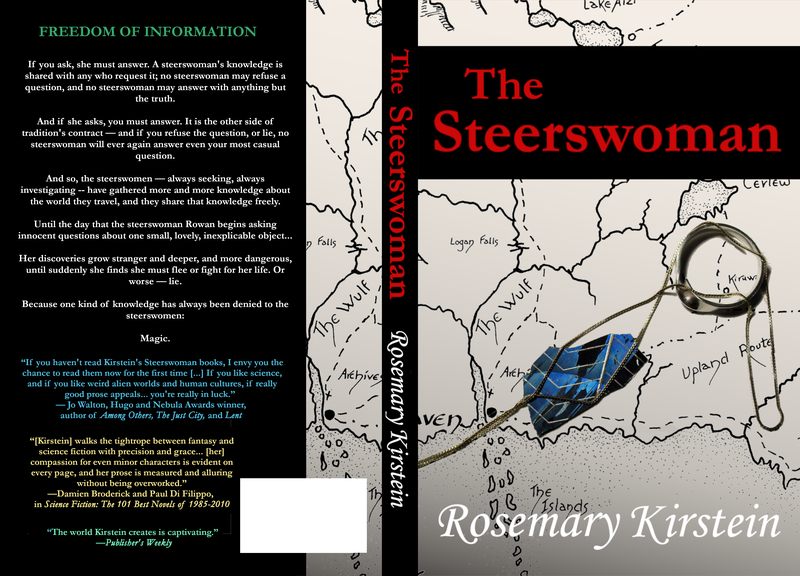 Ebook cover completed in a flash. Once I had that design, I did the covers for the other three ebooks using the same concept: Map showing where the action takes place; object from the storyline placed on top of the map. 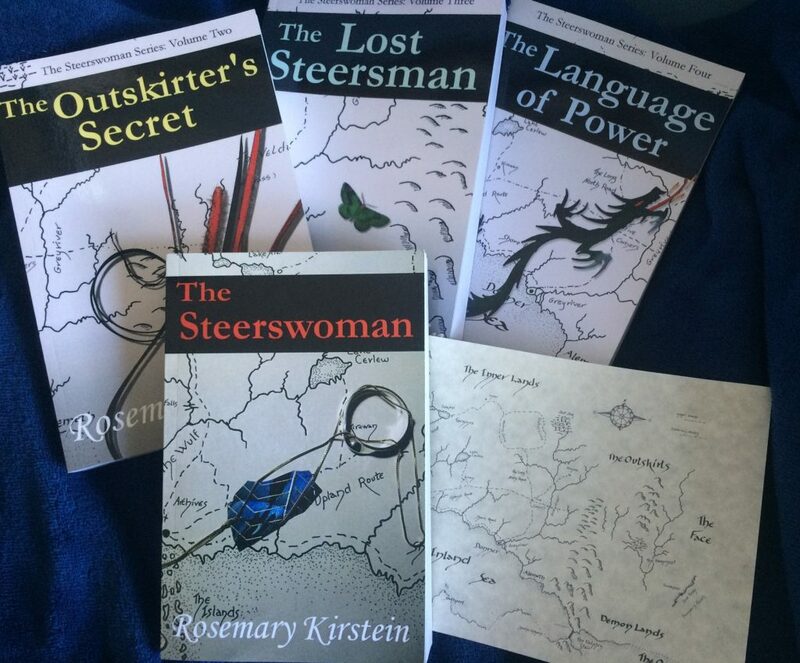 I could not, however simply take another photograph for the other ebooks — mainly because things like redgrass and dragons do not exist in real life. So I did the whole thing digitally, starting from a professionally-scanned version of the master-chart, and creating adding the elements as needed. But what you can’t see clearly in the photo above (taken with a mere iPhone, after all), is the very real color difference that still remained, between the first book and the others. It was still impossible to match the tone from the photo and reproduce the same color and tone onto the digital-image covers. Because it’s a photograph. I could not just select and block-change. The color and shading alter, literally from pixel to pixel, in subtle and unique ways. The best I could do for the other books was to get something close to the color of the top edge of the image, and have the image shade progressively darker toward the bottom. But now, with a new edition — well, here’s my chance. I figured I could recreate the cover of the first book digitally, and back-match the color to the covers of the other three. Right? 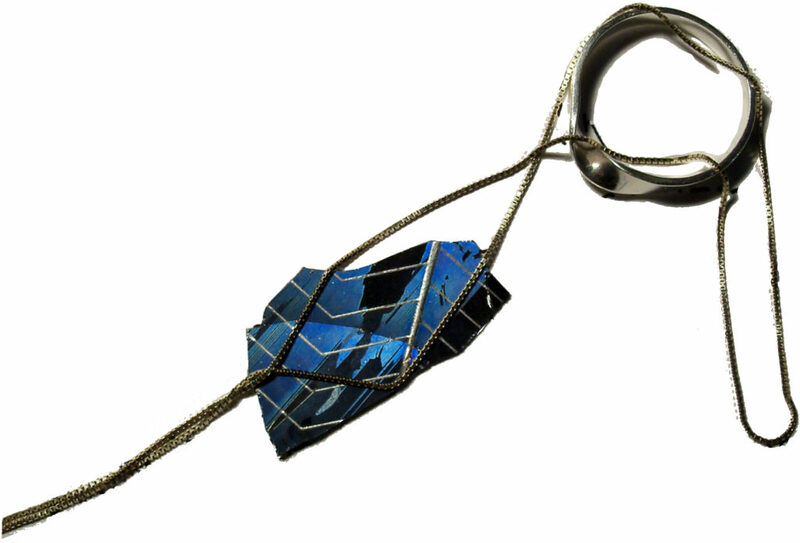 Problem: The ring, chain, and jewel are still a photograph. Yeah, it looks okay on this screen. 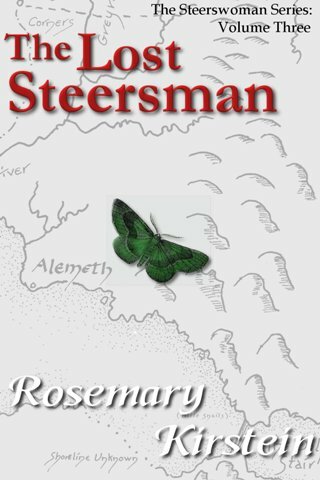 But as I discovered with The Lost Steersman something that looks good on a screen can be very different when printed on an physical object. When I have it in my hands, will the difference between the photographed element and the rest of the cover be noticeable? Will it just look horrible in person? Yeah. Gotta have that proof copy. I literally just now realized that I selected the wrong cover finish. I set it for matte instead of glossy. The other books are all glossy finish. Damn. Too late to cancel the proof order! Pardon me while I go and reset that option to the correct one, and reorder a proof copy. And spring for two-day shipping. Worth the cost. This entry was posted on Sunday, March 24th, 2019 at 3:24 am. You can follow any responses to this entry through the RSS 2.0 feed. You can leave a response, or trackback from your own site. Damn, that’s ridiculously finicky. Having done some for-fun photo-editing before I can only imagine the amount of painstaking care required for a normal person to do it for a professional/commercial purpose.